We're both excited and anxious about sandal season. Excited because our toes will finally be free of closed toed shoes, and anxious because the warm season is when both the outside and footbed of our shoes get dirty from the dirt, dust, and grime of the city streets that stick to our shoes and feet. 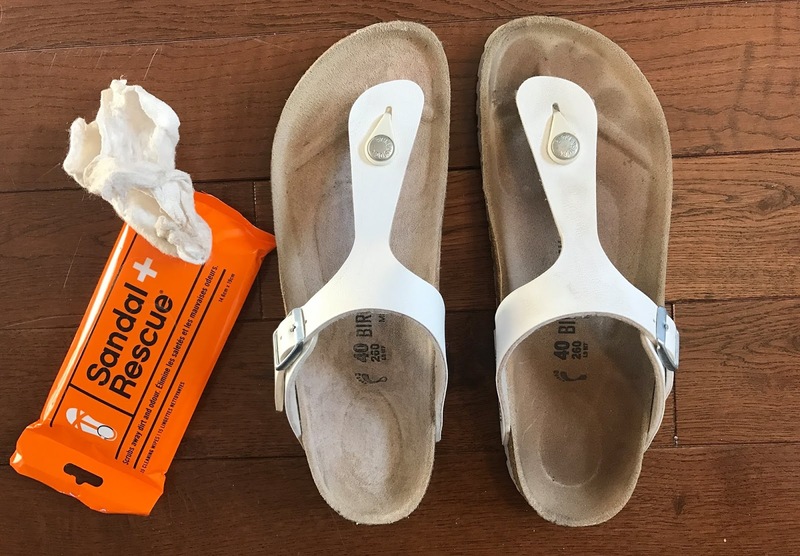 Thankfully this season, we are prepared to keep our sandals and other open toes shoes looking like new thanks to SandalRescue Wipes. 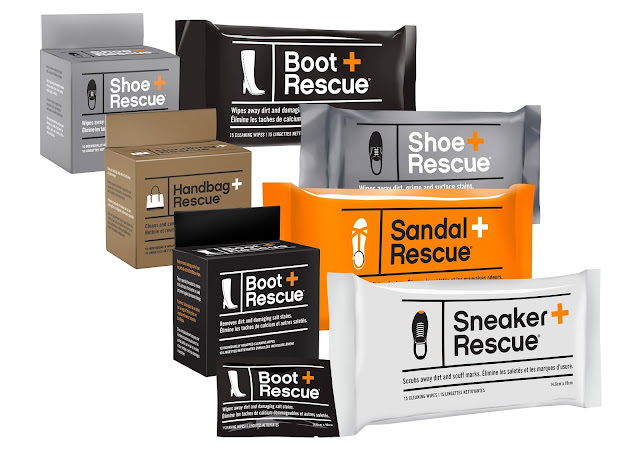 From Tracey Sloga, the fashion and shoe loving founder of BootRescue Wipes, ShoeRescue Wipes, SneakerRescue Wipes, and HandbagRescue (all pictured below), comes SandalRescue Wipes, all-natural, textured wipes that scrub away those ugly dirt and oil footprints from suede foot beds, dirt and oil buildup from leather ones, as well as odors from your sandals. Don't discard your sandals just yet, or toss them into the back of your closet, there could be new life (and new looks) in their future. Each pack of SandalRescue Wipes contains 15 wipes which retail for $7.49 per pack. Could your sandals use a little rescuing this season? See how SandalRescue Wipes and ShoeRescue Wipes can have them clean and looking like new again.